Ships today if you order in the next 14 hours 45 minutes. Oligomeric proanthocyanidins (OPCs) are bioflavonoids that are naturally found in certain plants. They work in the body as antioxidants, protecting cells from free radical damage for the maintenance of good health. 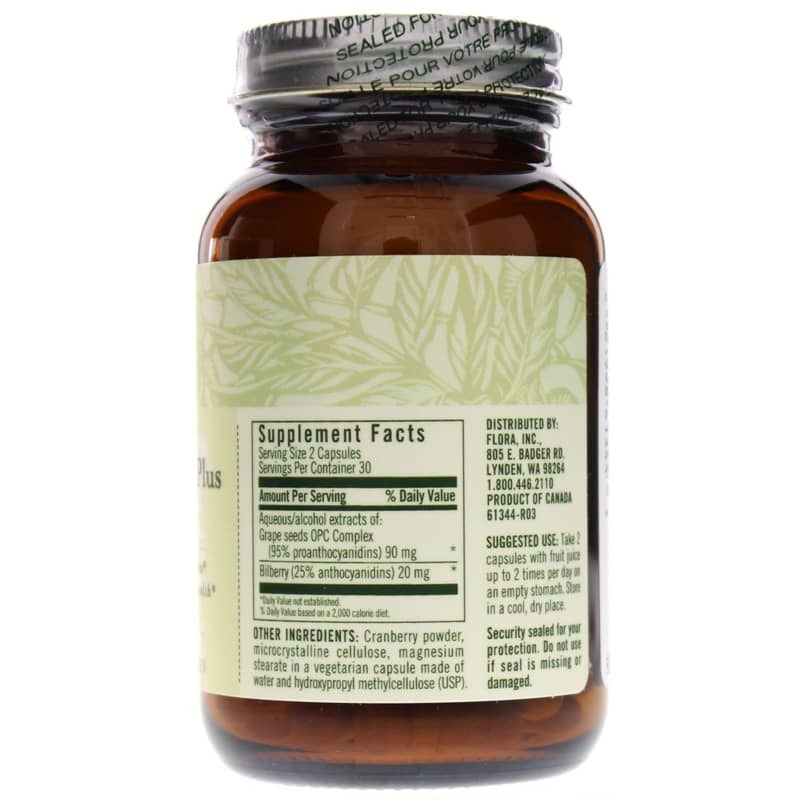 OPC is known as a super nutrient, and it supports many metabolic systems. In addition to promoting antioxidant activity, the OPC from pine bark and grape seeds may provide more cardiovascular benefits. 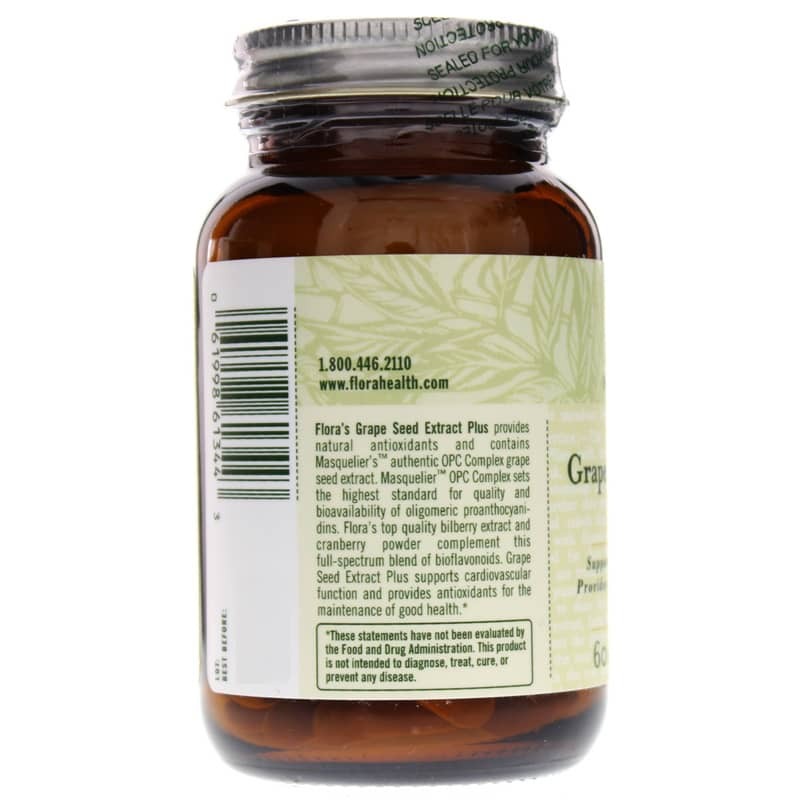 Flora offers an herbal antioxidant supplement called Grape Seed Extract Plus that seeks to provide cardiovascular function support. This grape seed extract comes from Masquelier™ OPC Complex, which is known for its quality and bioavailability of proanthocyanidins. It is suggested that you take this supplement on an empty stomach and with fruit juice. 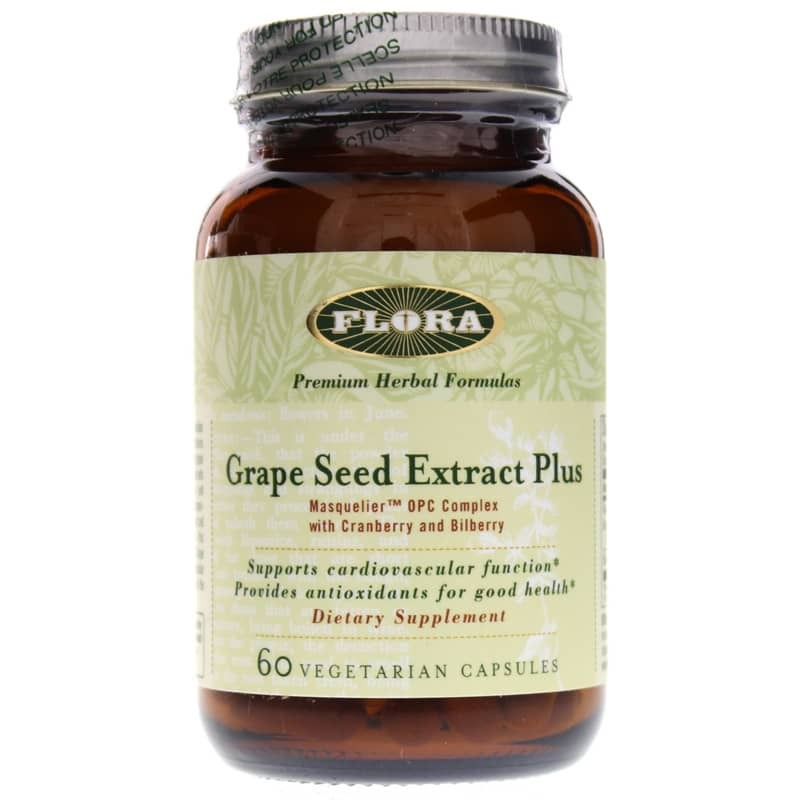 If you're looking for an antioxidant supplement that seeks to provide cardiovascular function support, consider Flora's Grape Seed Extract Plus. Order online today! Other Ingredients: cranberry powder, microcrystalline cellulose, magnesium stearate in a vegetarian capsule made of water and hydroxypropyl methylcellulose (USP). Adults: Take 2 capsules with fruit juice up to 2 times per day on an empty stomach. Store in a cool, dry place.